Multi Media LLC | How do I become age verified? Home › Earning Tokens › How do I become age verified? 1. You and any other person who will appear on your cam must complete a performer agreement for your account. 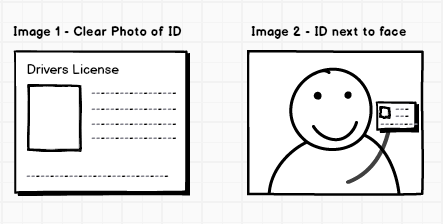 You may need to take photos of both the front and back of your ID. In addition, you must submit a clear photo of yourself and each and every participating person holding their government issued ID next to their face (closeup photo with main text of ID readable). Also, if a person is routinely highly made up or costumed while on cam, you can provide an additional photo of that person as such (with their ID), which can help to prevent future ID problems. Upload copies of these files here. If your ID is about to expire, you must upload a new ID before its expiration date to avoid having any problems with your account. We send out notifications that IDs are about to expire. Please note that if anyone else wants to appear on your cam, they must first upload the above identification at http://chaturbate.com/accounts/age_verification/, and complete a performer agreement on your account. Failing to complete verification for everyone appearing on your cam will result in you losing your ability to receive tokens, and possibly broadcast.